Public interest in climate change continues to rise. The increasing frequency of extreme weather events makes the consequences of global warming more compelling and more visible. The public expects an appropriate, effective and timely response from the Government to meet the climate challenge. The Special Report (SR15) from the Intergovernmental Panel on Climate Change (IPCC) highlighted the necessity of limiting global warming to 1.5°C above pre-industrial levels. Achieving this goal requires an unprecedented transformation across all elements of our society - and the time to act in order to prevent a catastrophic level of warming is running out quickly. Ireland has a poor record on climate action. As things stand now, the climate "laggard" badge is richly deserved. In its Annual Review 2018, the Climate Change Advisory Council, the independent body tasked with assessing progress and advising Government on climate policy, reports that Ireland "is completely off course" to meet its 2020 and 2030 emissions targets and to decarbonise the economy by 2050. The latest emissions data from the Environmental Protection Agency confirms, yet again, that Ireland is "off track" to meet its EU 2020 emission reduction targets. The outlook as regards of our longer term goals remains bleak. 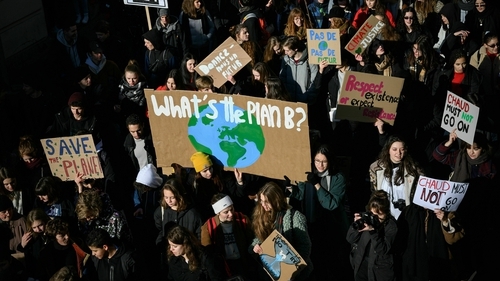 The Minister for Communications, Climate Action and Environment, Richard Bruton recently announced that he has secured Government approval to develop an "all of government plan" which will set out the actions to be taken in every government department and body. While the "all of government" approach is a very welcome development, it remains to be seen how quickly this new commitment will translate into specific action points, with clear targets and timeframes for delivery, that lead to significant, rapid reductions in emissions in practice. In its report on "how the State can make Ireland a leader in tackling climate change" the Citizens’ Assembly set out specific recommendations for decisive climate action on a number of fronts. A particularly strong theme in the Assembly’s deliberations was to identify a mechanism to hold the Government to account so as to ensure that it delivers on the State’s climate obligations. The Assembly recommended (with 97 percent voting in favour) that a new (or existing) independent body should be given a broad range of new functions and powers in legislation as a matter of urgency to address climate change. To guarantee accountability, one of the functions to be assigned to this independent body is "to pursue the State in legal proceedings to ensure that the State lives up to its legal obligations relating to climate change." This specific recommendation from the Citizens’ Assembly envisages the courts playing an important oversight role where the State fails to deliver on its legally binding climate commitments. The Citizens’ Assembly report is currently being considered by an all-party Oireachtas Committee on Climate Action. Drawing on the Assembly’s recommendations, the Committee’s forthcoming report may well prove to be a turning point for climate action in Ireland. At the very minimum, it should provide a strong basis for cross-party commitment to robust climate measures. Meanwhile, the important overarching question remains: what can be done when the normal political processes fail to deliver the necessary level of leadership and action on climate change? People around the world are turning to the courts to seek to force governments to take more ambitious and more urgent action on climate. The Urgenda case in the Netherlands is a trailblazer in climate litigation. Here, an NGO sued for a court order against the Dutch State requiring it to take more ambitious climate action. In a judgment delivered last October, the Court of Appeal ruled that the Dutch state must reduce greenhouse gas emissions by at least 25 percent by the end of 2020 compared to 1990 levels. The Court of Appeal accepted that the "real threat of dangerous climate change" results in "the serious risk that the current generation of citizens will be confronted with loss of life and/or a disruption of family life". Obligations under the European Convention on Human Rights led the court to conclude that "the State has a duty to protect against this real threat". The Court of Appeal rejected the State’s argument, based on the separation of powers, that it is the role of the democratically elected government, and not the courts, to make policy choices on matters such as climate change. Where the State acts in breach of human rights obligations, then the courts must respond and provide an effective remedy. The government has announced its intention to appeal to the Supreme Court. The Urgenda case has inspired similar litigation worldwide, including in Ireland. In Climate Case Ireland, the NGO Friends of the Irish Environment wants more ambitious action on climate change and is suing the State to achieve this goal. It argues that the Government’s approval of Ireland’s National Mitigation Plan (NMP) is unconstitutional and in breach of human rights obligations and that it does not meet the requirements of the Climate Action and Low Carbon Development Act 2015. The case is scheduled to be heard in the High Court beginning this week. The latest scientific evidence from the IPCC confirms the urgency of tackling climate change. Ireland must play its fair part in addressing the climate crisis. Strong political leadership and decisive action are needed now more than ever to set us firmly on the road to an environmentally sustainable economy by 2050. Where the government and public bodies fail to deliver on their legally binding climate obligations, including the duty to protect human rights, then the courts have an important role to play to ensure that the rule of law prevails. There are interesting times ahead for the development of climate law and governance in Ireland as climate related issues move to the courts. Dr Áine Ryall is Co-Director of the Centre for Law & Environment at UCC and Fernand Braudel Senior Research Fellow at the European University Institute, Florence. She is a former Irish Research Council awardee.